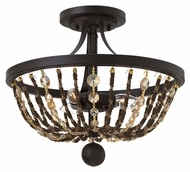 Fredrick Ramond Lighting ~ BEST PRICES GUARANTEED! Since November 2007, Fredrick Ramond has expressed refinement and high design. Every detail from hand applied finishes to lavish European styles represents the spirit of the brand. Fredrick Ramond epitomizes luxury for the modern home. Embellishments for every chandelier and pendant light are well-crafted. Consumers will appreciate the attention to detail given to decorative scrollwork and Spanish Gold finishes for kitchen and bath lighting. 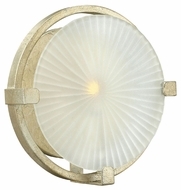 Receive incredible online discounts for Fredrick Ramond brand fixtures. 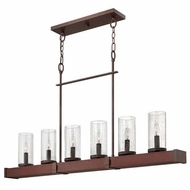 This will remind you of the brand's predecessor, Hinkley Lighting. 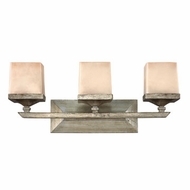 Fredrick Ramond's mid-century modern interior lighting with crystal tiering is dazzling in chrome and cherry-colored glass for wall and ceiling lights. Demonstrate your taste for collecting fine art pieces by choosing overscaled foyer lights in rustic Batik finish and clear water glass contemporary lighting. Enchant your guests with distinct, dark ivory pleated drum pendant shades and nature patterns.